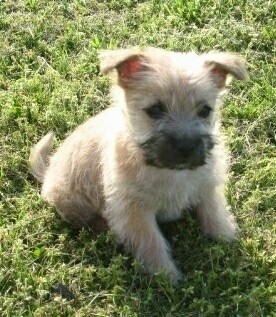 The Cairn Terrier is a hardy little terrier with a fox-like expression. The head is broad in proportion to the length. The strong muzzle is of medium length with a defined stop. The teeth meet in a scissors or level bite. The nose is black. The deep, wide-set eyes are hazel in color with shaggy eyebrows and topknot. The erect ears are small and set wide apart, covered in short hairs. The tail is in proportion to the head with short hairs. The shaggy, double, weather-resistant coat has a harsh outer coat with a soft undercoat. 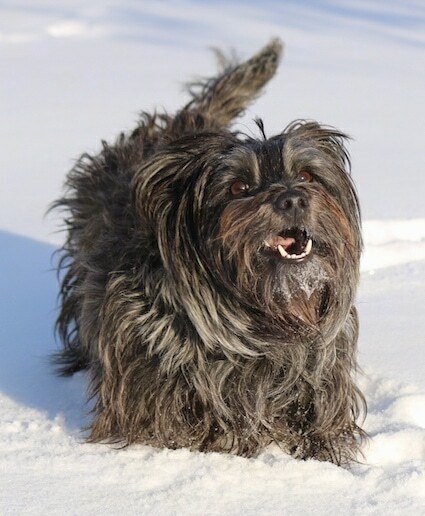 The coat comes in any color except for white, including red, brindle, blackish, sand and various shades of gray, often with dark ears, muzzle and tail tip. 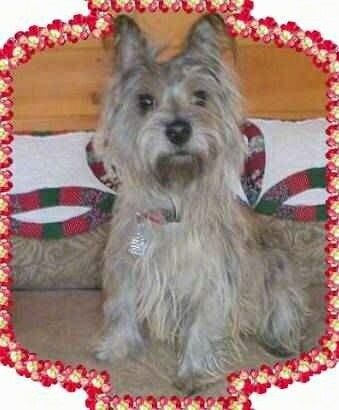 The final coat color of a Cairn is hard to predict as the coat changes many times for several years. 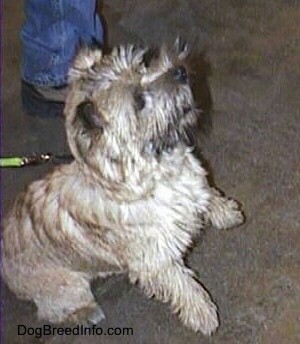 The Cairn Terrier is an alert, animated, hardy, little dog. Loyal, curious, cheerful, lovable and friendly, they enjoy playing with children. 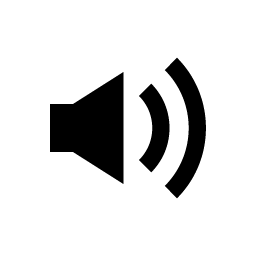 Independent, but will listen if it sees the human is stronger minded than itself. Meek and/or passive owners will find the dog to be willful. This breed can be taught to do tricks. A fearless, bold vermin hunter, Cairns like to dig. With enoughmental and physical exercise along with consistent leadership they will be calm and easy-going. Cairns adapt well to their new homes. They need firm, but not harsh, training and discipline. Without the proper leadership, the Cairn can become destructive and/or bark excessively. If they spot a rabbit or other small animal they may take off chasing it. Do not allow this little dog to develop Small Dog Syndrome, human induced behaviors where they believe they are pack leader to humans. Cairns with this syndrome will develop all types of varying degrees of behavior problems, including, but not limited to separation anxiety, stubbornness, snapping, growling and guarding. Often allergic to fleas. Gains weight easily. 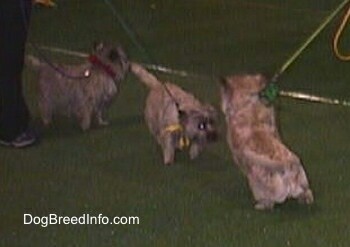 The Cairn Terrier will do okay in an apartment if it is sufficiently exercised. It is very active indoors and will do okay without a yard. These are active little dogs that need a daily walk. Play will take care of a lot of their exercise needs, however, as with all breeds play will not fulfill their primal instinct to walk. Dogs that do not get to go on daily walks are more likely to display behavior problems. They will also enjoy a good romp in a safe open area off-lead, such as a large, fenced-in yard. That shaggy "natural" looking coat actually takes quite a bit of maintenance and a neglected coat soon becomes a sorry, matted mess. Brush several times a week, being gentle with the soft undercoat. Once a month, bathe the dog and brush the coat while it dries. Trim around the eyes and ears with blunt-nosed scissors and clip the nails regularly. The Cairn sheds little to no hair. 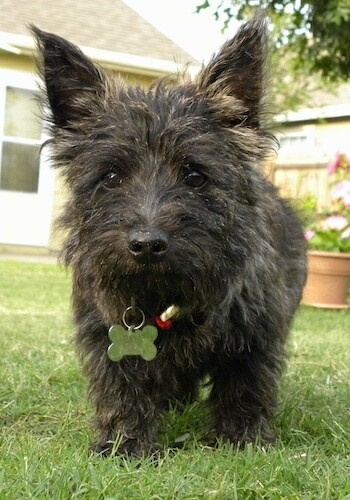 The Cairn Terrier originated in the 1500s, in the Highlands of Scotland and the Isle of Skye and is one of Scotland's original terriers. 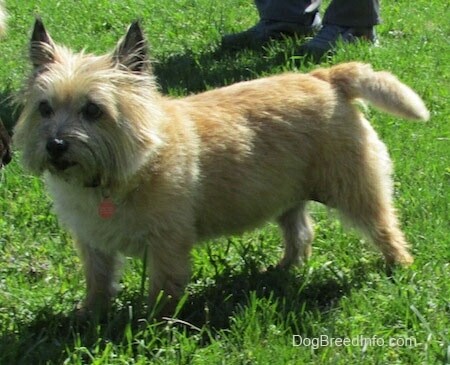 At one point it was considered the same breed as the Scottish Terrier and the West Highland White Terrier up until the 1900s when the breeds began to be bred separately. 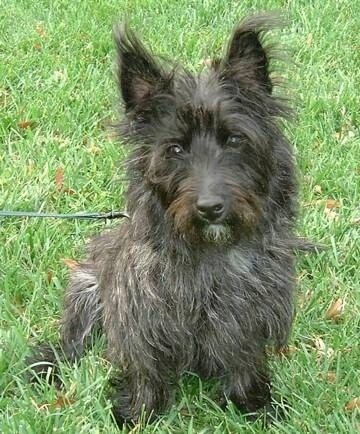 The Cairn is also said to be related to the Skye Terrier. The Cairn was named for the way it would squeeze down into "cairns" and bark at fox and badgers until the farmer could arrive to kill them. "Cairns" were rock dens where badgers and fox lived, usually in piles of small stones used to mark Scottish farm borders and graves. The breed was first publicly presented in 1909 and became popular after the 1930s. It was first recognized by the AKC in 1913. 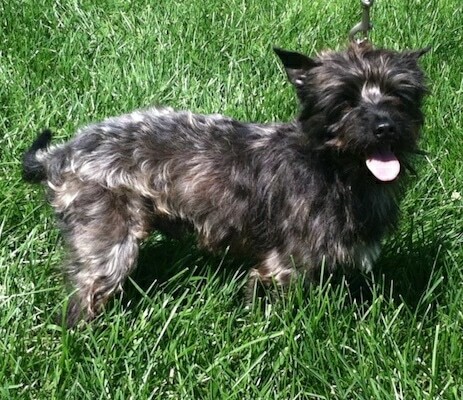 It was a Cairn Terrier who played Toto in ”The Wizard of Oz.” Some of the Cairn's talents are hunting, tracking, go-to-ground trials, watchdog, agility, competitive obedience and performing tricks. 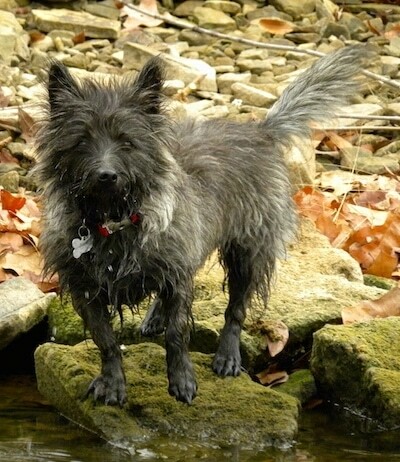 Scottie the Cairn Terrier at about 3 years old—"Scottie was rescued as the car in front of us slowed down and dumped him on a back road. He was a mess and skin an bones. I have been fostering him and got him back in good health. He will soon go to his new forever home. 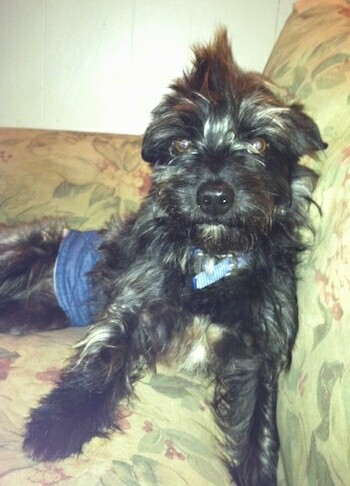 He is very smart, loyal and a relaxed little guy who knows when to play and when to take it easy. He is a great kid! My best foster dog yet. Congrats Scottie on your new home!!" 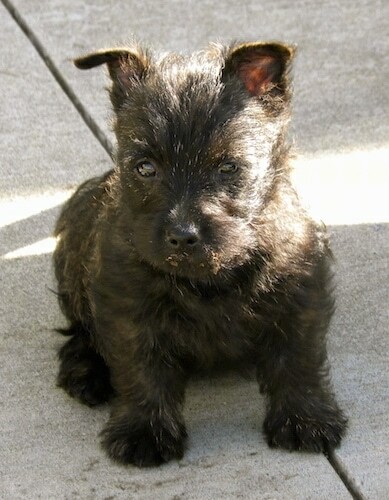 "Harper the Cairn Terrier at 9 weeks old is just a bundle of energy! It was hard enough getting her to stay still long enough to get just this picture." 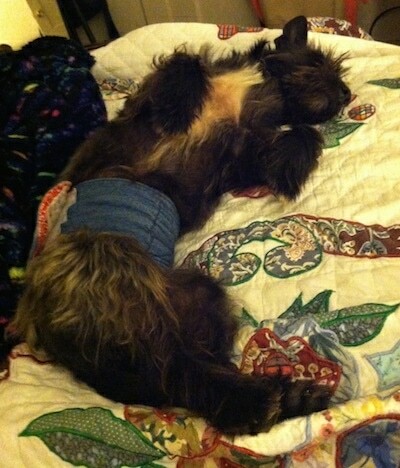 Bonnie the black-brindle Cairn Terrier at 3 years old— "I bought Bonnie from a breeder when she was a 10-week-old puppy. She is very intelligent an ornery. She loves to go fishing and hiking and loves the water. She keeps our yard free of rats, gophers and rabbits. She loves chasing airplanes, hawks, and buzzards, and doesn't show any fear of anything. We go for a 1/2 mile walk everyday. Bonnie was very hyper her first year, and has calmed down a lot. The only problem I had training her was breaking her from chewing. She has been a lot of fun and very entertaining. Don't know what I would do without her." 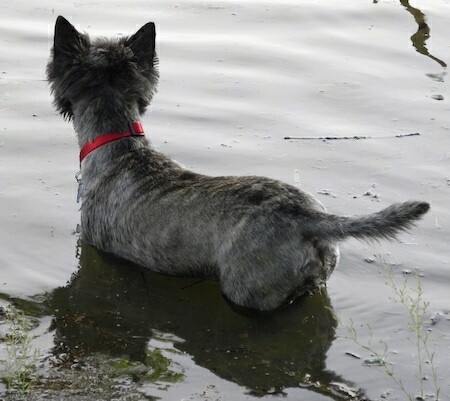 Bonnie the black-brindle Cairn Terrier at 3 years old in the water with her coat groomed short.